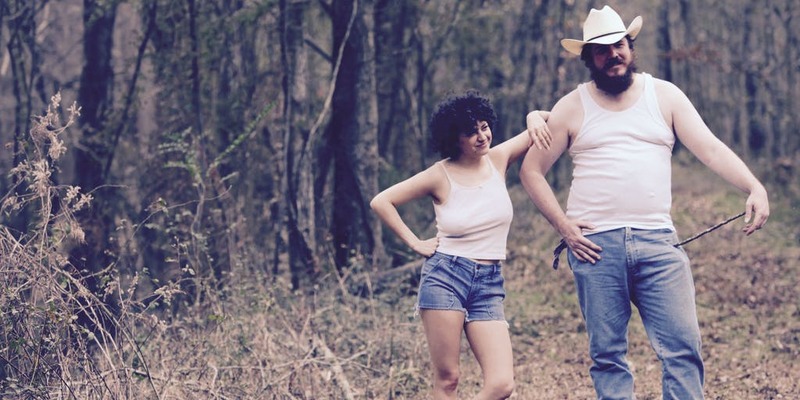 In “Blaze”, directed by Ethan Hawke, the audiences is taken into a journey with Blaze Foley (Ben Dickey) – a charismatic, but flawed country singer. While the centre of the film is Blaze’s relationship with half-Jewish Sybil (Alia Shawkat), his life becomes an ode to a whole lifestyle and music genre. From the very first scene, Ethan Hawke sets an ethereal mood in “Blaze”. The camera, bathed in yellowy mellow glow of Autumn, zooms on a wooden house, where a few people are singing on a porch. Among these people is the titular Blaze Foley – a hefty looking, bearded man in a cowboy hat, carrying a guitar. His life is made of three pieces of puzzle – a concert, an interview with two of his dear friends and his own flashbacks. Dissecting the story in such way is the first great win for Hawke in the director’s seat. While all could constitute a story on their own, they are meticulously weaved together to present a much larger picture. The first dimension in this structured narrative is a radio interview with two close friends of the already deceased Blaze – Townes Van Zandt (Charlie Sexton) and Zee (Josh Hamilton). Van Zandt, a blues/country legend, is asked about his music, but he intentionally shifts the focus of the story to Blaze. These recollections refer to a particular concert of Foley – his last and his best one too, conducted in a venue, where several local folks witnessed that marvel. Van Zandt and Zee serve as bards, as if giving life to their deceased pal in their anecdotes and narrative. 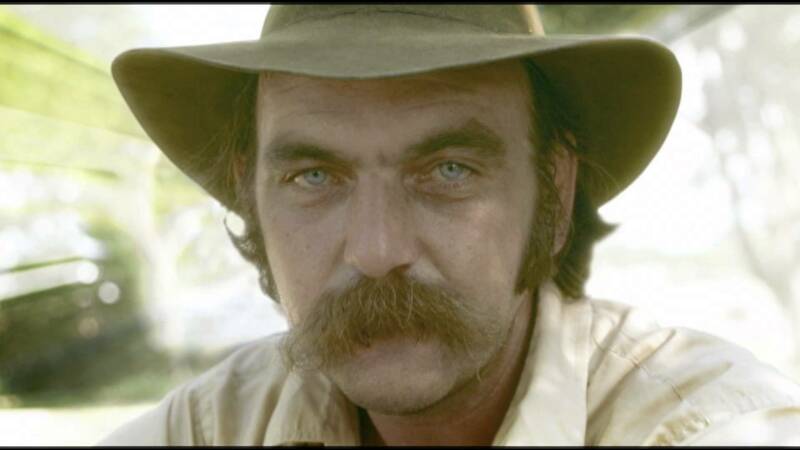 Blaze Foley becomes flesh and bones in front of our eyes – dressed in an extravagant way, playing a concert for a bunch of beer-drooling hillbilies. Each song he sings, preceded by his monologues, brings back memories that – in the vast part – re-live moments with the love of his life. These recollections are the true essence of “Blaze”. Because at its very core, Hawke’s film is not a biopic that builds a monument for its protagonist. Instead, it’s an ode to the beauty of free life, turning into a nocturne of the struggle that this life turns into. Such effect is achieved in a vast part by Alia Shawkat and Ben Dickey. These two beam with an ice-melting warmth, while the chemistry in between them is palpable. Dickey is fantastic as Foley – a portly man, who oozes the conflict of a free spirit bound by the love that he embraces. Blaze was a free spirit, an artist and a dear, loving man. He was also a broken man, torn between bonding and freedom. Dickey’s understanding of that duality gives foundations to a deep, rich performance. Equally charming is Dickey’s partner-in-crime, Alia Shawkat. As Foley’s second half, she’s both mesmerizing and heart-breaking as a character, all in a graceful, almost effortless manner. As a director, Hawke shows an unprecedented delicacy and craftsmanship in the way “Blaze” is told. By using these three time layers, he is capable of saying a lot about not only Blaze himself, but the whole “entourage” around him – The hippie culture that has its moments in the film too, the way these artists circulated around each other and reached to their very souls in search for inspiration. It beautifully corresponds with the cinematography of the film. There are shots which literally squeeze the glands in your eyes – like Townes van Zandt’s melodious ballad or the most astonishing cinematic pinnacle during Blaze’s wedding. Such honest, emotion-filled moments encapsulate Hawke’s personal approach towards the film too – he’s a man of a soft heart and the direction in “Blaze” reflects that. In one of the scenes (when Sybil decides to leave Blaze), she whispers to him that she will no longer be his muse. The response – “it’s exactly the moment you will really become my muse” is what defines “Blaze” – it goes beyond the usual tropes of a biopic and finds the most heartfelt side of the story it covers. “Blaze” is a wise film, dressed in a flawlessly executed form. It’s a slow type of experience, one that requires patience from its audience. However, this patience is lavishly rewarded.